In our section "Geography of North Korea" we provide the following geographical information about the DPRK. When drive around North Korea it becomes obvious that it is a mountainous country making less than 15% of the arable. It is common to see crops being cultivated on any land that is flat enought to allow for this, including man-made terraces by hill slopes. Total Area: Official DPRK figures include South Korea, the total official area being 222,209 km². If we do not include South Korea, the area is 122, 762 km². China (North) - 1416 km. There are actually around 10 entry points from China to the DPRK though these are mostly opened to Chinese citizens. Westerners can enter via three main points by train (Dandong, Tumen and Quanhe near Hunchun). Russia (North) - 19 km. We can enter Rason through Russia and exit to Russia from Rason too. Topography: mountains account for over 80% of the total area. 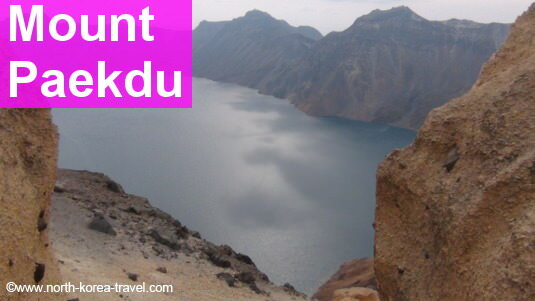 Several mountain ranges go from Mt Paektu all the way to the southern point of the peninsula. Average elevation: 440 metres above sea level. The highest point - Mt. Paektu (2750 metres above sea-level) seen in the image above. Mt. Paekdu is considered the place of origin of Koreans and it is shared by China and the DPRK. 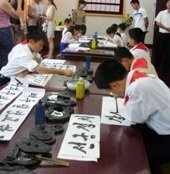 Thousands of South Koreans go to the Chinese side of Mt. Paekdu (Changbai Shan) each year. Climate: temperate with 4 different seasons, summers, usually July to August, having the heaviest rainfall. Coastline: sea erosion is strong on the west coast leading to many bays, overheads, peninsulas and islands. Rivers: most known rivers are River Taedong (439 km, flows through Pyongyang), Tumen (521 km), Chochong (217 km ending at the Yellow River) and Amnok or Yalu in Chinese (the longest with 803 km). Lagoons and lakes: several are created by volcanic activity the most known being Lake Chon on Mt. Paektu, Samji, Tongjong and Kwangpo Lakes. Natural hot springs are located in coastal areas whereas spas are found inland. The coastal city of Nampo for example has natural hotsprings which we can enjoy. Mineral resources: the DPRK is rich in lead, zinc, gold, silver, copper, coal, large magnesite and graphite deposits a fact of the geography of North Korea that has attracted the attention of many foreign investors. 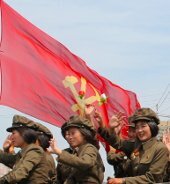 Please click here to go from our Geography of North Korea section to our Facts and Figures page.